Creatine occurs naturally in the body; it is present in every human cell and functions as an energy store. Depending on body weight and muscle mass, the body stores between 100 and 150gms of creatine, of which about 2 to 4gms are used every day for normal activity. Half of the required creatine is produced by the body itself, the rest must be obtained daily from food. For an optimal supply of creatine, 500g of raw meat or raw fish must be consumed every day. Because this is hardly feasible in practice, supplementary creatine can provide an ideal solution. Creapure creatine monohydrate, gelatin (capsule). 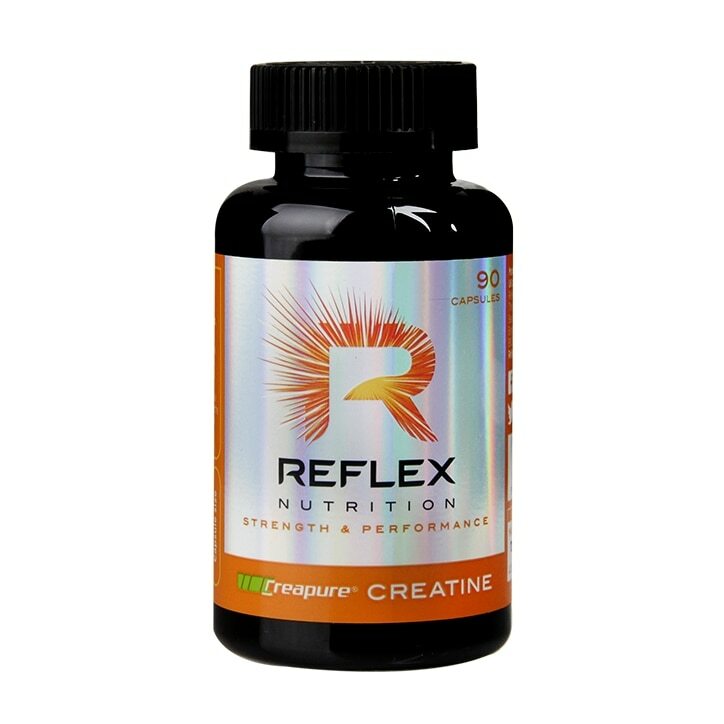 Reflex Creapure Capsules is rated 4.7 out of 5 by 6. Rated 5 out of 5 by angela90 from Great value for money These tablets are of a very good quality and are great value for money. The delivery is also very reliable. Rated 5 out of 5 by aarsha from Excellent Product Bought this product and is worth the money spent. Rated 4 out of 5 by Shiv567 from First time using but good product My first time using protein capsules - I use them along with protein shakes so can't tell if they make much of a difference, but I feel better for using them all the better. And they are easy to swallow.